Extend your home on a budget - easy! Extend your home on a budget—easy! We all know what it is like to need and want more space in our homes, especially if we have children. Our homes can become cramped and crowded very quickly when there is an increase of family members in a little space! Yet a full-on renovation or expansion can be quite pricey and in today's economy, it just doesn't seem like an option. But you shouldn't fear! 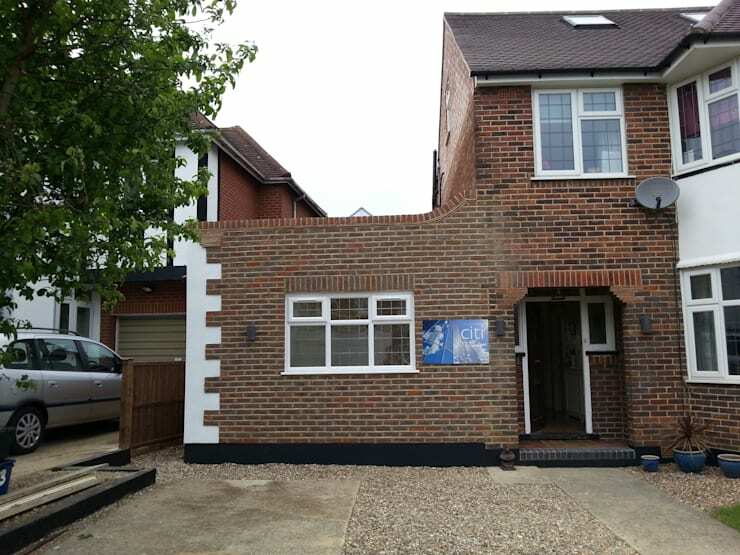 In fact, with the right design professional, you can extend your home on a very tight budget while making the absolute most of space available to you. What's more is that you can use your extension for so many different purposes. 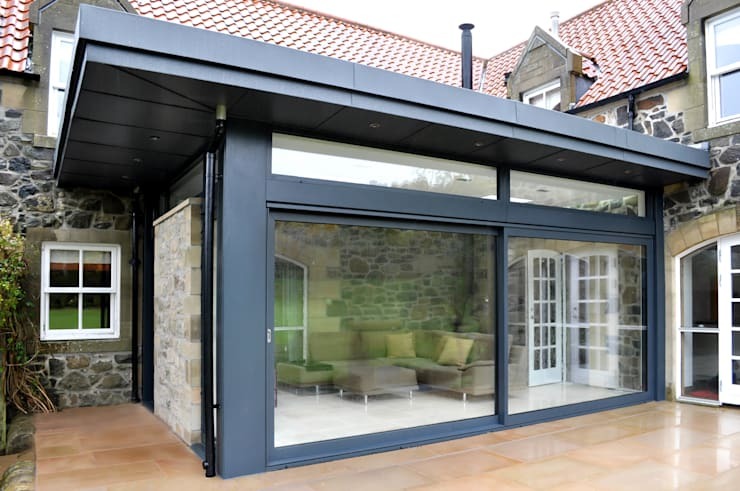 It can create an extra bedroom, an outdoor living area, an outdoor kitchen, a new indoor living room, a kitchen… there are so many things that can be done with an extension. 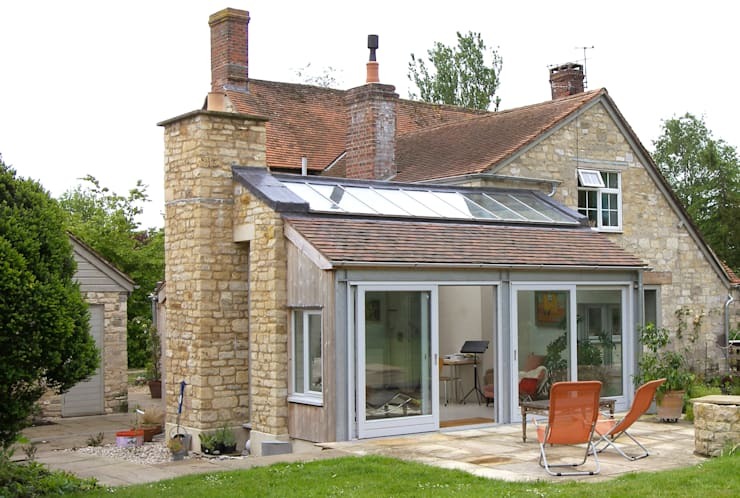 An extension can also take on so many different styles and designs, depending on your tastes. 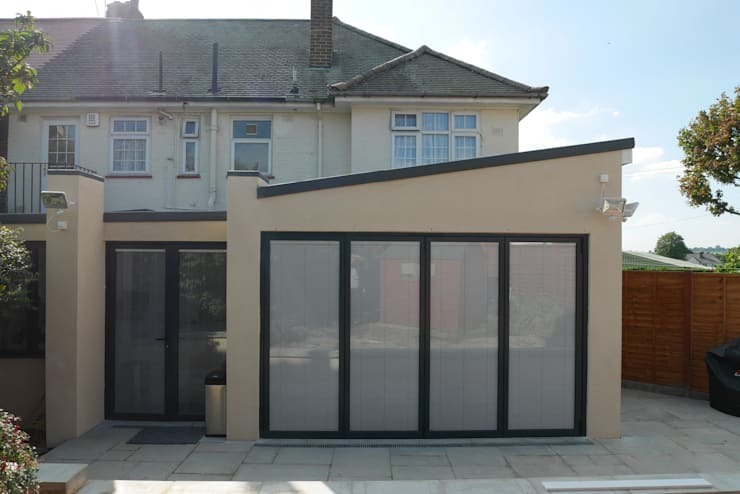 This is why we at homify have put together a variety of home extension examples for you today so that you can see just how much potential exists, without having to spend a fortune. 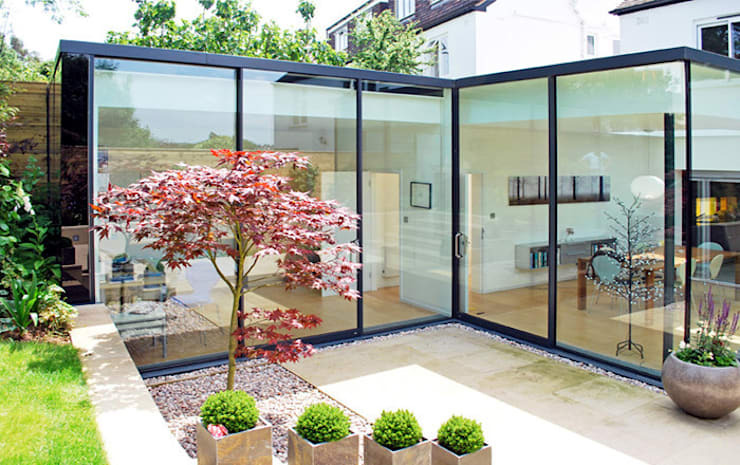 A very simple way to extend your home is to use glass—a natural and cost-effective material that not only allows your home to communicate beautifully with the exterior spaces, but also brings an edgy and modern look to the design. Your extension doesn't have to be elaborate or fancy. Go for simple and clean lines and a facade that works in harmony with the original home. If your home extension needs to be built a level higher or lower than the original home, don't worry about blowing your budget on interior stairs. Simply install a wooden platform like this one, which will get residents between the different spaces. 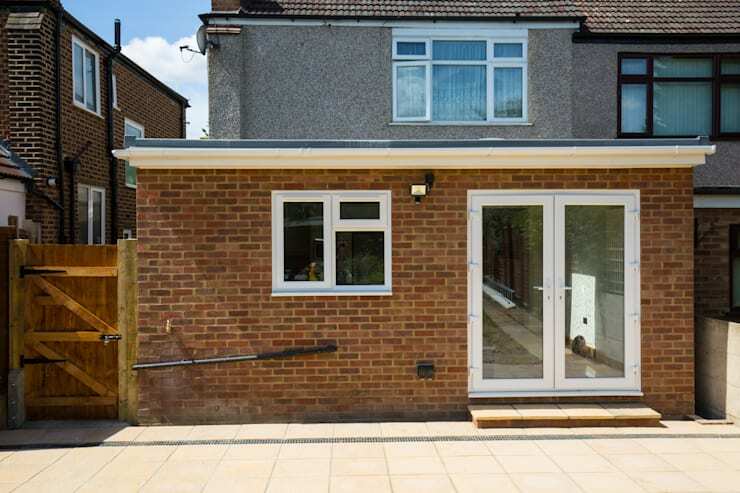 Your home extension also doesn't need to take up your whole property. Just build what you need, creating a subtle but functional extra area. Opt for a minimalist design that focuses on the most functional and the most necessary, so you don't waste money on all sorts of frills. 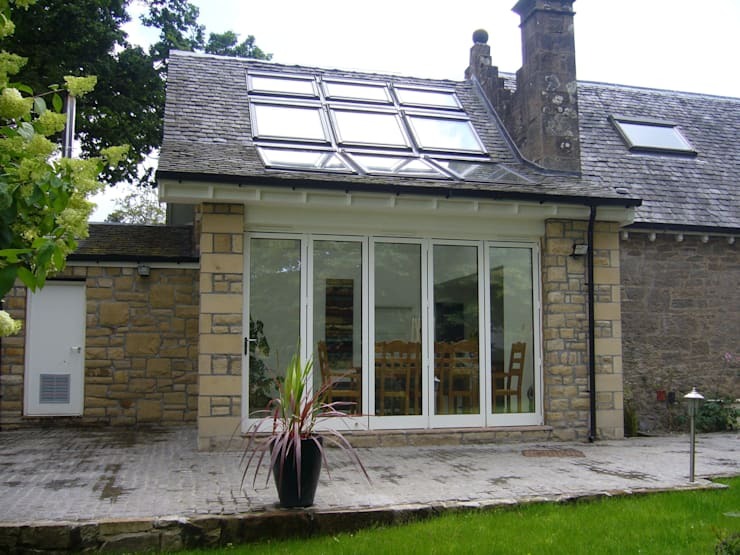 Mix raw materials including stone, brick, wood and glass for a very stylish and economical extension. Raw materials are also durable too! 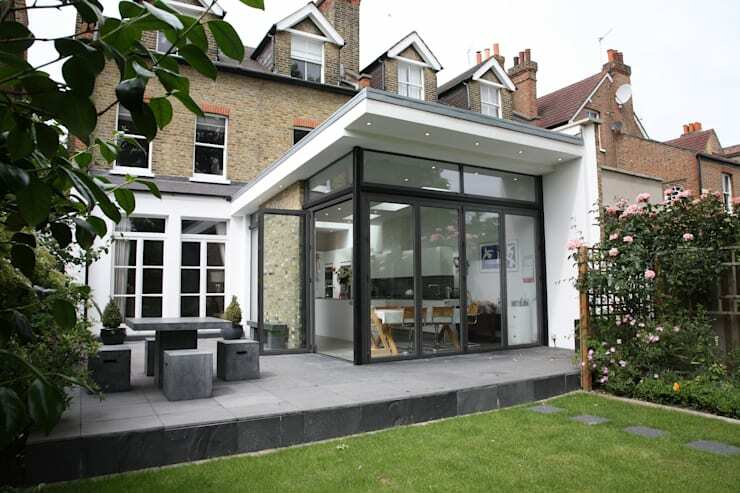 Sometimes all that you need to extend your home is to extend your roof outwards and install some walls. This is simple and allows you to work with the original structure flawlessly. Allow natural light to flow into your extended area by installing skylights or large glass windows and doors. This will save you money on artificial heat and light in this little area. 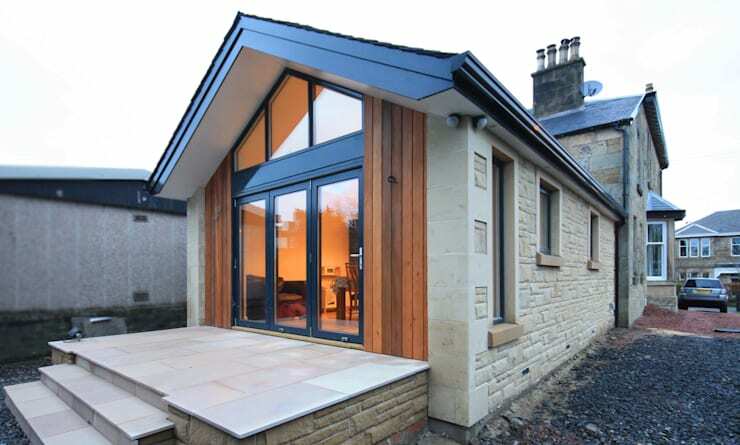 Wood is a great material to use for an extension as it works in harmony with most house designs. 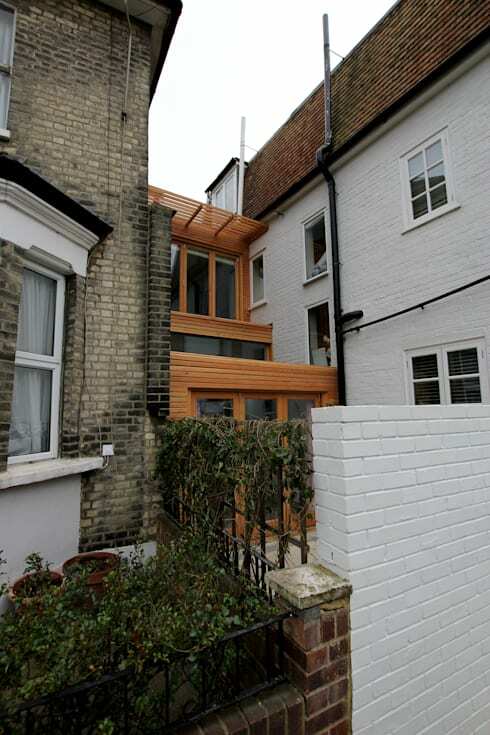 This will ensure that the old home and new extension don't clash. 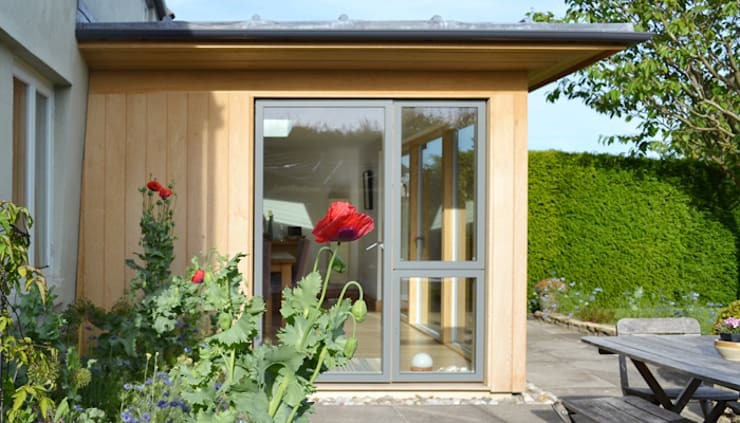 Your old garage can be converted into a spare room easily and cost-effectively. Looks like it was always there! 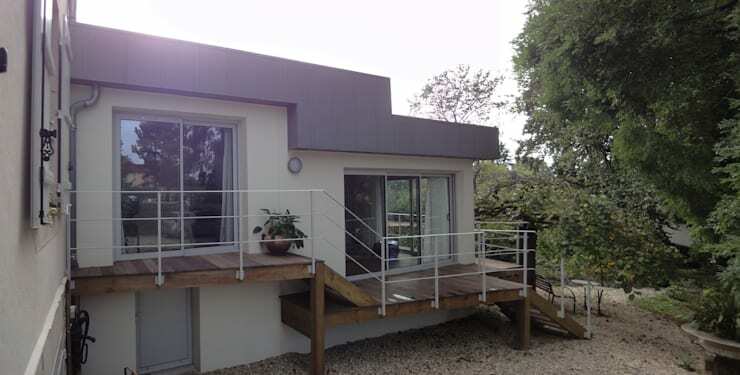 A flat roof can be slightly cheaper than any other roof, keeping your costs low. You don't have to spend a lot of money to achieve a beautiful design. Take a leaf out of this project's book! 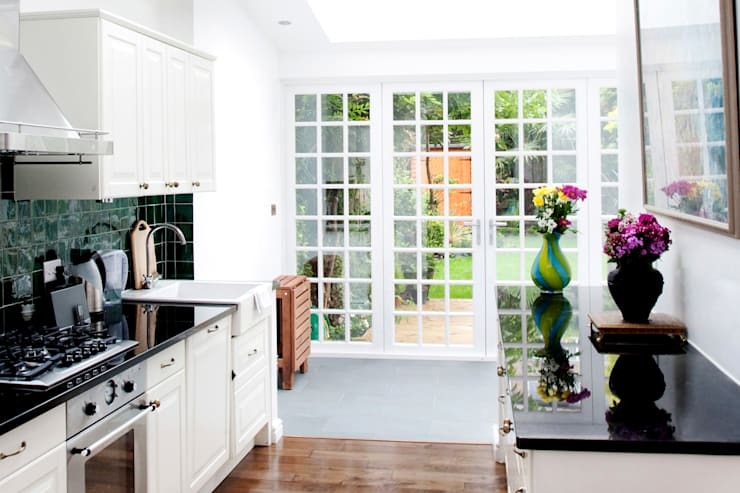 Here we can see how the designers have added an extension to the kitchen, using a simple white look and feel for a gorgeous yet simple design. 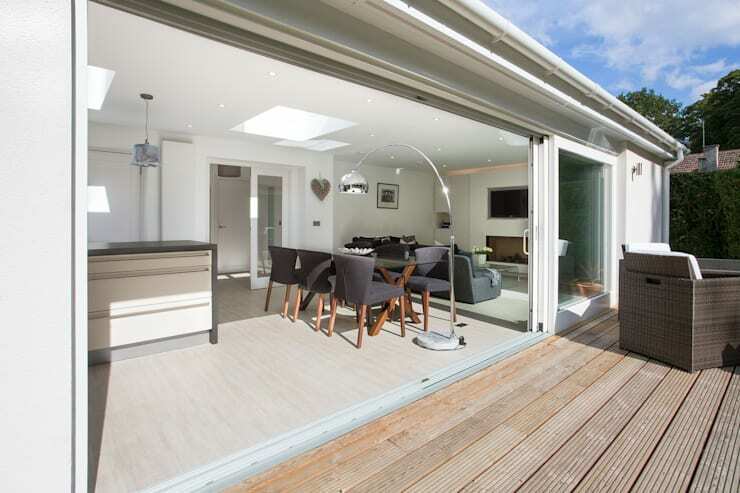 Connect your extension to the exterior terrace or patio with large glass windows and doors. This will save costs on building walls and will make for a light and bright design! 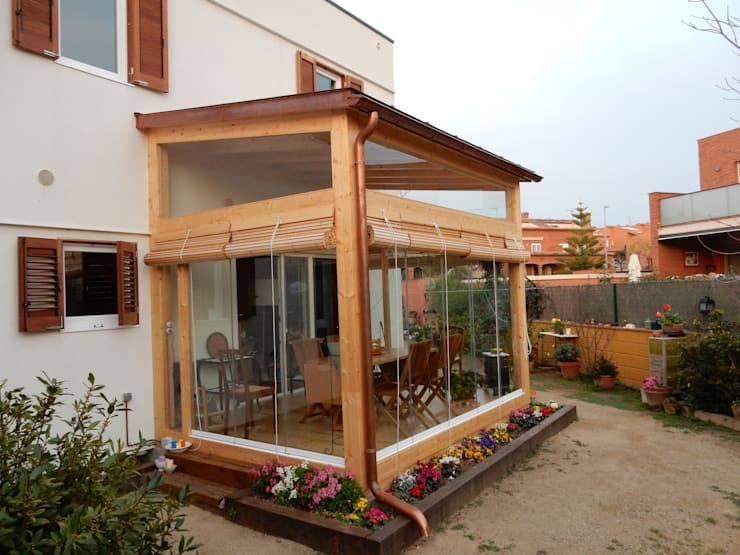 Glass and wood go together flawlessly in this extension, while working in harmony with the main building. Don't be afraid to mix styles, especially if it's going to get you the most cost-effective extension. Different styles can work beautifully together. 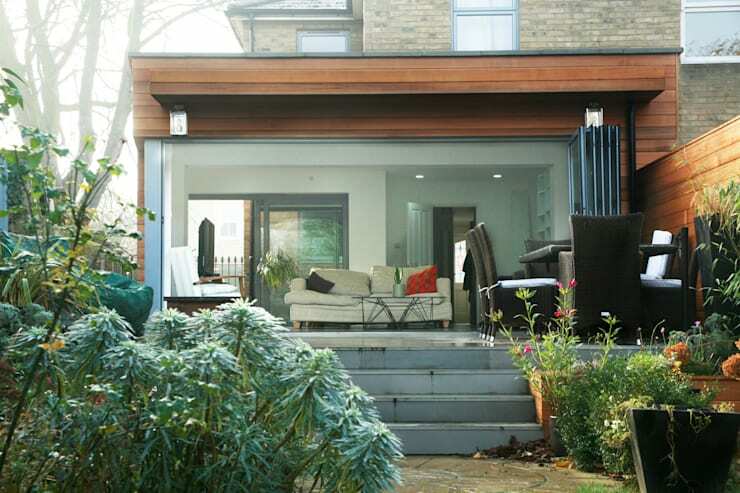 If you've enjoyed these articles, you'll love this weekend home that gets a wicked extension.